Extend your hair with our weft hair extension. 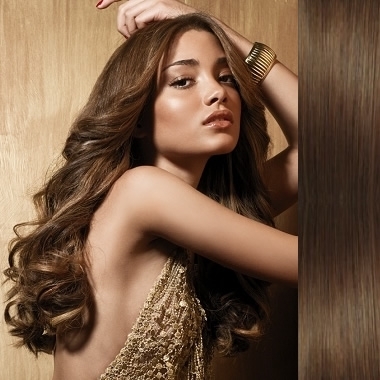 All our hair extensions are made exclusively from 100% human hair of European type. Special pressure sensitive anti-slip hair clips are included in the package. This hair extension can be styled, straightened, curled, dyed like your own hair. Clip in hair extensions are available in a wide variety of lengths and colors, please have a look around our website for all the options available. Find the color that matches your hair by browsing through the products at our site. If you are not sure about choice of your color shade, it is not a big deal. Nobody has own hair in one color tone. 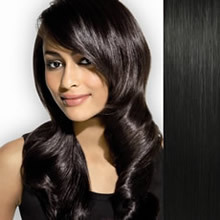 Hair always has more color undertones, which together make your color shade. So, if you choose clip in hair in a little bit different shade, do not be sad. Clip in hair will mix with your own hair and you will have modern streaked hair. However if you require a professional advice, we have a unique color matching service at your disposal to assist you. we will provide you a professional assistance with selection of appropriate optimal color shade for you. Look at photos before and after hair extensions. Caring for your new hair product is easy, and you should treat your new product as an investment that you want to keep looking new and fresh for as long as possible. For more information visit How to care for extended hair. For more information you can visit FAQ - the most frequent questions. Our clip in set is simply a complete full-head set with all you need to obtain a luxurious, beautifully long hair. IMPORTANT: Outside EU (European Union) we cannot guarantee that you will or will not be charged any customs taxes or duties. Any customs or import duties are charged once the parcel reaches its destination country. These charges must be paid by the recipient of the parcel. This applies only to International Orders outside EU.